Laurel Park will have a mandatory payout of all its multi-race wagers Thursday, including the 50-cent Pick 5 which will have a carryover of $16,361. The Pick 5, with its industry-low 12 percent takeout, has become one of the most popular wagers in the country. For Laurel’s television host and handicapper Stan Salter, Thursday’s Pick 5 offers a “real good chance of hitting it big” with a single in the eighth race. Below is Salter’s race-by-race analysis of Thursday’s Pick 5 and ticket. My top two picks in here are the two favorites, #10 Supsa and #8 Gem City Gal, but I go six-deep on my ticket, as I think both favorites are suspect. Supsa is a 14-time winner who has plenty of back-class to beat these horses, plus she already has a win and a second from two starts at Laurel Park, so we know she likes the track. In her last start, she rallied gamely between horses to finish second to Secret Garden, who came back and won. I do really like her, but fear her outside post-position might get her caught wide around the far turn while stalking the early pace-setters, and a trip like that could get her beat. The other favorite Gem City Gal is making her first start at Laurel and will most likely be fighting for the early lead with an 8% rider who is making his first start of the meet in this race, so she doesn’t have to win right? Case closed, there is enough evidence to get both favorites beat in this spot, so let’s blow it up and throw some long-shots on the ticket, and hope for a price. One interesting long-shot is #9 Bridget Moloney, who is 10-1 morning-line, has earned over $246K, and has a two-race winning streak coming into today’s race. Did somebody say blow-up time? Actually, this Maiden Special Weight for 2-year-old fillies going one-mile is so tough to handicap, I had to go nine-deep in here just to feel good about my Pick 5 ticket still being alive after this very competitive race. Therefore, any price winner in here will do, let’s just try to get the winner. My top pick here is the 5-2 favorite #10 Great Soul, who is a big good-looking filly by a good sire in Great Notion, who ran great in her debut when she had to break from the rail, and then rallied through traffic to finish second to a Graham Motion first-timer who cost $625K. Judging by that effort, Great Soul looks like a nice filly who can go longer, however. 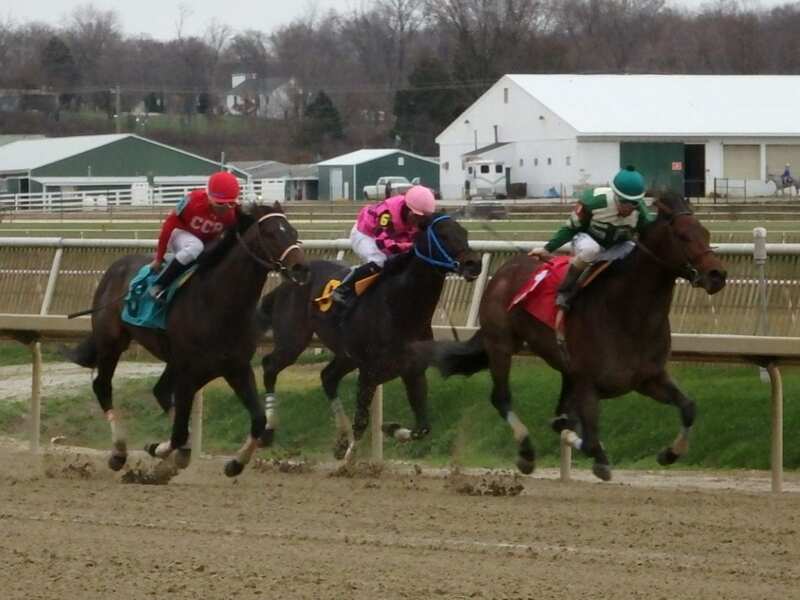 Her dam couldn’t break her maiden going four and a half furlongs for maiden claiming $5,000 at Charles Town, so that doesn’t make us feel toO good about this favorite stretching out to a mile against this bunch, so let’s see who else is in here. #9 Sunrise Ruby is by Hard Spun and cost $125K earlier this spring at Ocala, and she is trained by Francis “Tres” Abbott III, who has been red-hot with 2-year-olds recently. She had a real good closing second in her debut at Penn National and is a half sister to Fantastic Style, who made $272K as a sprinter. #7 Tiz Majesty is 8-1 morning-line, and is the most seasoned filly in the field who has already finished second twice going long against MSW company here at Laurel Park. The leading rider of the meet Jevian Toledo finds himself aboard a 10-1 morning-line first-time starter for Graham Motion in #4 Steed of Steel. Don’t play the Pick 5 without having that horse on your ticket. #4 Dancing Lion is the 5-2 morning-line favorite for top connections that I feel good about relying on to get me through this middle race of the Pick 5. Jamie Ness is the third-leading trainer of the meet and Trevor McCarthy is the second-leading rider of the meet, and when they team up together they have a solid 26% win percentage over the past two years. Dancing Lion has won two of his last three, drops in class from open $10K last time, cuts back from two-turns to seven-furlongs in this spot, and should loom a very dangerous threat inside the final strides. If he can’t get up in time, then we’ll back him up with #7 Burning Mandate, who runs today first off the claim for 2015 Hall of Fame Trainer Inductee King T. Leatherbury, who wins 29% first off the claim. Burning Mandate has earned over $244K, loves Laurel Park, is in good form, and gets leading rider Jevian Toledo, who recently teamed up with KTL for a nice price double-digit winner. My whole Pick 5 ticket comes down to my Best Bet of the Day and my single in this race, #5 Ginger Beer. For what it’s worth, I have a 37% win percentage with my best bet of the day, and I’m hoping to end the year strong with this 7-2 morning-line filly trained by Holly Robinson and ridden by Trevor McCarthy. McCarthy was aboard last time when she sat off the pace and made a three-wide surge when turning for home to win going away by over two lengths. That race was Ginger Beer’s first race on the dirt, a surface her dam Gin N Ginger won on 11 times during her career from distances of six-furlongs to over a mile for total earnings of over $183K. Gin N Ginger also won five times on an off track, so if we get that today, borrow money from your friends to bet on this filly. The favorite in here is #7 Lovable Lady, who has a nice resume against this level, however. She is coming into this race off a seven-month layoff, and might need a race to regain her best form. I think there is a good amount of early speed in here, which is the perfect set-up for Ginger Beer to make a late rally and get back-to-back wins for her new barn. If I’m still alive I’ll be looking at some nice Pick 5 will-pays, as I finish off my Pick 5 ticket with my long-shot of the day in this race #11 Rock Me Gently, who is 10-1 morning-line. I’ll also use #5 Whisky Rock, who is 9-2 morning-line. Rock Me Gently had all kinds of trouble the entire way in his last race where he ended up finishing a pretty good fourth, only beaten two and a half lengths for $10,000. The drop to $5,000 today will help and he gets Nik Juarez again, who has already won on the horse twice. There is a lot of cheap early speed in this race, which I’m hoping is the perfect set-up for this closing sprinter to take advantage of. If Rock Me Gently can’t get up in time, then I’ll be hoping for Whisky Rock to keep his sharp recent form with apprentice jockey Lauralea Glaser, who won on him last time.